When Simon and Schuster Canada sent us the anticipated horror book The Troop by Nick Cutter, we knew we were in for a gory treat. The king of horror, Stephen King, even endorsed the book right on the cover! There’s no arguing with that. 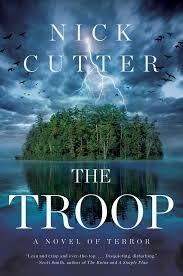 The Troop by Nick Cutter has been one of the better thriller novels I've read in years. I expected to be creeped out and I wasn't disappointed! Sure, The Troop was distinctly lacking any female characters and was essentially a novel of the degeneration of a group of boys without adult supervision. But it was superbly written, especially with the inclusion of articles and background on the cause of the outbreak. Cutter was able to expertly write believable characters, envision a lovely and secluded island for the boys and never once did I want to stop reading. While the story is simple, a troop of boys on an island get stranded when an infected stranger arrives. Part Lord of the Flies and part The Ruins, The Troop turns into a psychological thriller interspersed with horrific and graphic deaths. The gore was never too much or over the top, it fit in perfectly with each death and character. Even though the boys try to avoid death by worm, the real threat was one of their own. All this simply works in The Troop. Cutter blends seamlessly the sometimes intense horror with the psychological drama that makes monsters seem tame when compared to humanity. What starts off as a seemingly innocent Boy Scout trip on a lonely island turns into a living nightmare as a stranger with unnatural symptoms crawls ashore with a vicious hunger that leaves Scoutmaster Tim and his five scouts fighting for survival. A little bit Lord of the Flies, a little bit Steven King and all kinds of creepy, the Troop forces you out of your comfort zone and leaves you with an icky, anxious feeling that you can’t quite shake. It’s been some time since I have read anything so graphically detailed that I physically squirmed just reading certain passages. The words paint such a vivid picture that anyone with a slight imagination will be exposed to all the gory visuals as they tip toe through the mess that unravels from chapter to chapter. Each character is rich with his own issues, all of which, when grouped together, create a smorgasbord of ego, knowledge and fear. There’s an alpha male who is determined to control the group no matter the cost, the over-weight nerd who is possibly the only one with any sense of survival skills, the two childhood friends who play the ying to the other’s angered yang, and of course the odd guy out, the guy with sociopathic tendencies and an apathetic joy of ripping apart animals and playing with his friends’ psyches. Surprisingly, a story which could have quickly turned into every boy for himself shows a rare camaraderie as the boys cling to each other for survival, tending to their troubled friends instead of leaving them behind. It offers almost an inspiring, hopeful tone to the story. Too bad they’re all doomed no matter what they do. I really enjoyed the format as well; news articles and interview transcripts are interlaced between chapters, giving the reader an idea of the unholy demise that lies ahead and adding some background information to the situation. This format works extremely well and adds another level to the narrative. And Cutter is humble enough to admit that this technique was lovingly lifted from King’s Carrie. The Troop is the kind of book that plants itself deep within you, forcing you to carry it with you wherever you go long after you try to put it down. My skin is still crawling. 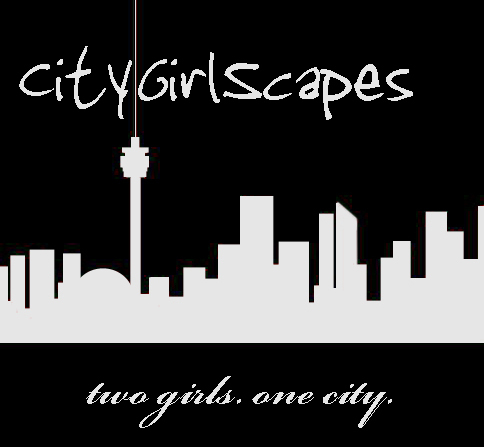 City Girls Rating: Four out of Five glasses of wine.